Have an extra $130 million sitting around? I wish! 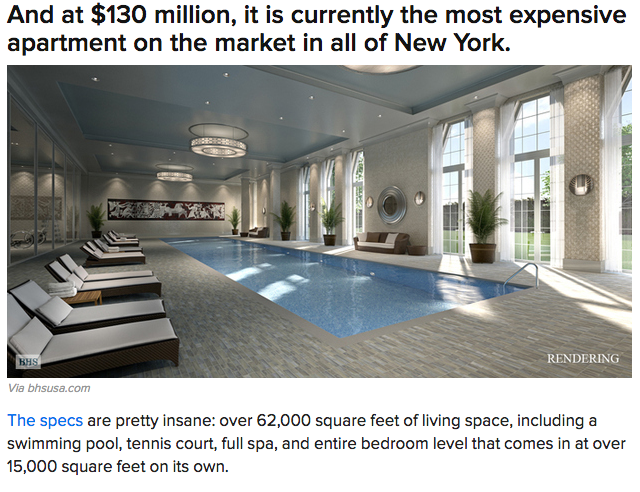 NYC’s most expensive apartment costs just that! Although it’s spectacular and looks like you could be quite comfortable in it’s 62,000 square feet, perhaps you want to know what else you could buy. 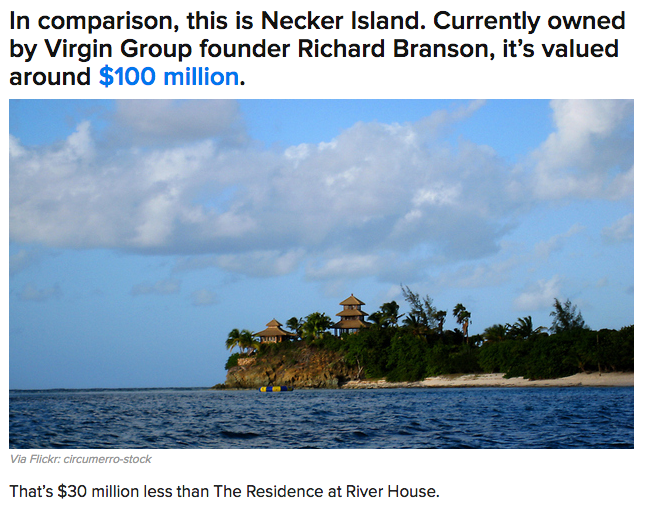 BuzzFeed put together this funny comparison to see what else you could buy for $130 million! These photos were taken from BuzzFeed’s website. Head over to BuzzFeed’s website to see the entire comparison. It’s pretty interesting!